Increasing poverty, famine, and over population have affected global economic stability. The United States is on the brink of revolution, as multiple militias have risen up against the federal government in order to protect their constitutional rights. Some generals have taken sides with the people and were branded traitors by the White House. Most of the public services are shut down and nobody has any understanding on how far will this go. Foreign foes are taking this opportunity to complete country’s destabilization by supplying the faction groups. Possible outside military invasion is not out of questions as well. It is time to stand up to the challenge......Which side are you on? Shemagh will be used to identify resistance faction groups. MiR Tactical is proud to present OP BLACKJACK V, the fifth installment of the Strikeball™ event at famous Sherwood Forest Field. The teamwork oriented scenario will challenge players in their ability to co-exist on the battlefield, while successfully completing dynamic build missions and scenarios. MiR Tactical will continue to innovate and bring unique strikeball™ experience to players of all calibers and interests. OP BLACKJACK will be more than just an event, but a celebration of this great sport for the duration of two days. MiR Tactical is the EXCLUSIVE promoter of strikeball™ / airsoft events at Sherwood Forest. With Sherwood Forest’s innovative, spectacular field and MiR Tactical’s unique style of gameplay, the player can expect an unmatched airsoft experience. Don't miss your last chance to experience the sport at its finest during 2016 season at Sherwood Forest. Food will be available at the park for purchase. All participants required to sign waivers and media release forms. Full paintball mask for players under 18 years of age. No Exceptions. Sniper rifles - Under 550fps with .2 gram BBs. Cannot engage under 100ft. Barrel Covers are required outside of playing area at all times. No Exceptions. Gameplay schedule might change due to extreme weather conditions. Chrono and Registration will be available on Friday night in order to speed things up on the day of the event. Of course, no event would be great without RAFFLE prizes!!! We will be giving away thousands worth of gifts!!! 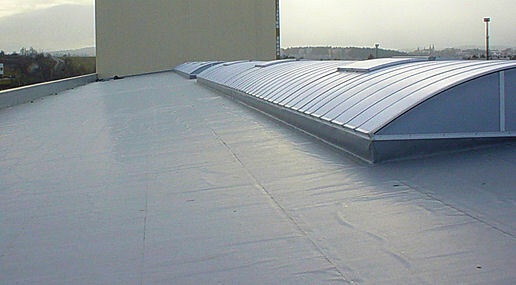 (Logicroof, Ecoplast, Fatrafol, Bauder, SikaPlan, Protan, Alkorplan, Plastfoil) . « » - , ! Tobacco Boutique offers you a wide variety of premium cigarettes at amazingly low prices with WORLDWIDE DELIVERY (except US)! We work to make your life easier! Cigarettes are shipped directly to you, making it totally easy and very convenient for you to get your smokes. We provide the best selection of tobacco products online! all at discounted prices! We are working directly with manufactures - cutting out numerous mediators, warehouses and high local taxes - all this makes prices so advantageous and guarantees the quality and freshness of the cigarettes we sell. For you - privacy, wide range, fast delivery ( avg 15 days to CA NZ AU, 5-7 days to EU, 10-12 to another GEOs), Online Order Status, Loyalty bonuses and offers for regular customers, generous commissions for resellers! We deliver 4-6 cartons in one parcel (with the exception of AUSTRALIA - delivery to this country is possible only at least 35 units in one package). We recommend ordering no more than 2 parcels per month for one address. If a client wishes to Become a Reseller or increases the number of orders per month, he will need to provide more addresses. We do guarantee that all of our cigarettes are genuine, affordable and of the very highest quality.